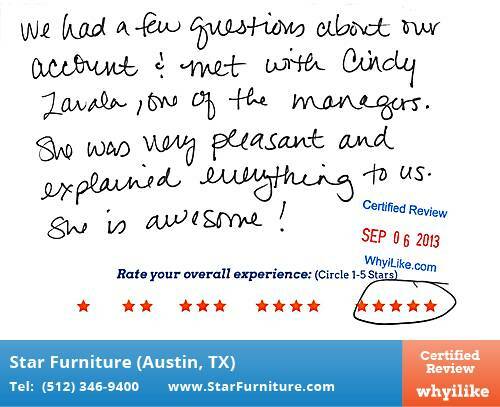 We had a few questions about our account & met with Cindy Zavala, one of the managers. She was very pleasant and explained everything to us. She is awesome!